More LEGO? 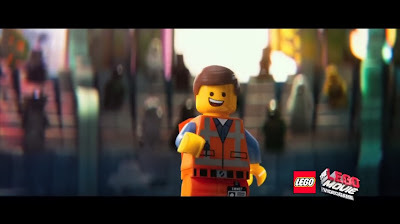 Sure why not as the release date for the The LEGO Movie Videogame has been confirmed for February 2014 and will be released on pretty much every console and handle that is currently being supported. To get the fans hyped, Warner Bros released a trailer for the upcoming title, which looks at Emmet, an ordinary LEGO minifigure mistakenly thought to be “The Special”—a character prophesized to save the world from an evil LEGO tyrant. Throughout the game, players can harness the awesome power of the Master Builders to construct new extraordinary LEGO creations, while taking on the role of more than 90 playable characters inspired by the film in 15 exciting levels.